If there’s one casino that loves to give players a taste of the lavish high life, it’s Mr Green. When this site hosts promotions, it certainly does them in style. So, it comes as no surprise that Mr Green is treating winners to high prizes in a generous prize draw to celebrate the launch of the site’s new Goldify slot. As if the incredible new slot, Goldify, wasn’t enough to get us all logging into Mr Green and spinning the reels, 1,500 lucky customers will be walking away with their share of £15,000 after this exciting event. Keep on reading to find out how you can get involved and win your share of this prize pool. Goldify is a brand new release from developers, IGT. 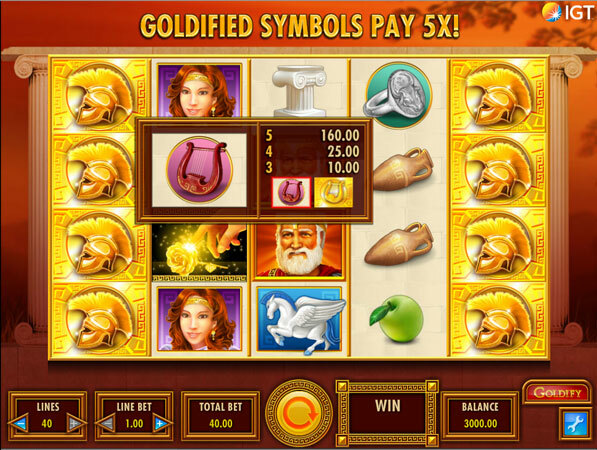 The theme revolves around the mythological Greek king, Midas, who- as the title of the game suggests- was believed to turn everything he touched into solid gold. With a habit like that, who could be a better mascot for a high-rolling slot game? There are five reels and an adjustable amount of up to 40 pay lines to play with, as well as plenty of surprise bonus features. So even if you’re not one of the prize draw winners, you’re highly likely to come away from this game with a little bit of Midas gold yourself. The great thing about these prizes is that they come in the form of real money, not bonus bucks, this means that there are no wagering requirements to play through before you can withdraw them from your account. To take part in this offer, all you have to do is log in to your Mr Green account (or sign up if you’re not yet a member) and wager £10 or more on the Goldify slot any time during the promotional period- November 24th until December 4th. Every £10 you wager on this slot will earn you one entry into the prize draw. So, remember that the more you deposit and spin the reels, the higher your chances of being one of the 1,500 winners will be. Please remember that only game play between November 24th and December 4th will count towards the Goldify prize draw. However, it doesn’t matter whether you play the slot on desktop or mobile, as both forms are valid for the promotion. Every £10 you spend on Goldify will earn you one entry ticket for the prize draw and as the results are completely random, players may win more than one prize in the promotion. The tickets will be drawn at random on December 5th, and all winners will find the cash credited to their accounts within 72 hours of this taking place.